Weber Shandwick is expanding into California's capital. SACRAMENTO, CA: Weber Shandwick has opened an office in Sacramento, California, led by Kathleen Siedlecki, EVP and US director of health impact. She will initially manage a team of four in the location, reporting to Pam Jenkins, president of Powell Tate, Weber’s public affairs division. Siedlecki, who joined the Interpublic Group firm in November 2010, will continue with her broader responsibilities advising clients on public health communications. "This is a natural extension to what I have been doing," she explained. Siedlecki and her team are focused on CSR, consumer marketing, and community relations. The team will also offer expertise on local issues, consumer engagement, and public education campaigns, along with public affairs advocacy, Siedlecki added. The location will also give the firm "additional depth" in corporate reputation, issues management, healthcare, and multicultural outreach for issues in California’s state capital, she explained. The Sacramento team will partner with Sawmill, Weber Shandwick’s advertising shop, is set to launch as a reworked version of Sawyer Miller at the start of 2015, and Los Angeles-based sister firm The Axis Agency. The office will also receive help from Powell Tate and market research shop KRC Research. "Weber has been strengthening and expanding its footprint in California and the West Coast over the past several years," said Sara Gavin, Weber’s president of North America. 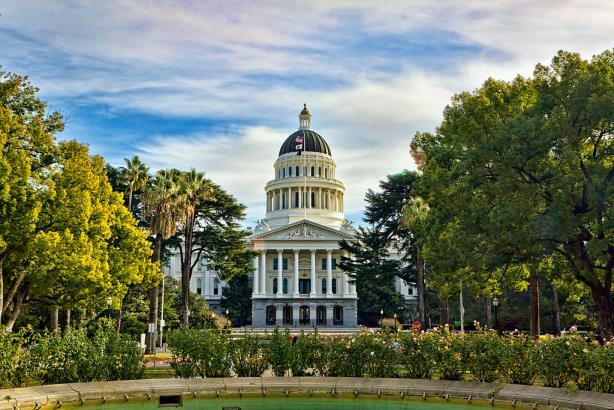 "Sacramento is a natural part of ensuring we are able to serve our California clients very well. Given the strength we have historically in public affairs with Sacramento being the state capital, this move makes a good deal of sense." Weber also has California offices in Los Angeles, San Francisco, and Silicon Valley. The office launch follows the appointments of Leslie Capstraw as GM of Los Angeles in March, and Luca Penati, who joined in September as GM of San Francisco and Silicon Valley and Mediaco lead for the Western region. "We will focus on continuing to build our presence in Sacramento to make sure that our footprint is an advantage to clients across the system as well as in California," said Gavin. Weber has no plans to open further offices, she added. Prior to Weber, Siedlecki was managing supervisor of government relations and later SVP and partner at FleishmanHillard. A Sacramento native, she began her career in 1989 as a congressional aide to US Rep. Vic Fazio (D-CA) in Washington, DC.